Is there a monsoon season affecting certain attractions and destinations within Malaysia? Usually the first question you ask when organizing a holiday trip to Malaysia is: What is the best period to visit the country. Malaysia is the perfect destination throughout the whole year. In countries with a tropical climate it’s obvious that it rains once in a while. Most of the time this is a short (heavy) period, and before you know it the sun already shines. 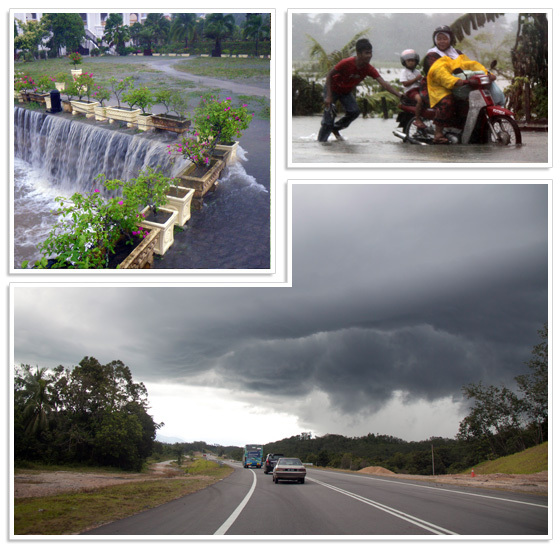 When it comes to the rainy seasons 3 different regions can be distinguished in Malaysia, namely the eastern side and western side of the peninsula and Borneo. To the western side of the peninsula of Malaysia there’s hardly a rainy season or monsoon. This is because of the moderate climate at the Andaman Sea. Here Malaysia is protected by the Indonesian island of Sumatra for a great part. Along the western side of the peninsula the weather can of course be a little bad. It can sometimes be a day with bad weather indeed, but most of the time there’s just a short and heavy shower at the end of the day (this is normal in the tropics). You can be quite sure that between 4 and 5 in the afternoon it rains persistently for about 10 to 30 minutes. As a matter of fact this is often very pleasant, a bit of cooling at the end of the day. Islands to the western side are: Penang, Langkawi and Pangkor amongst others. So here there’s hardly a serious rainy season, although, it’s not an inconvenience when you’re on holiday there. 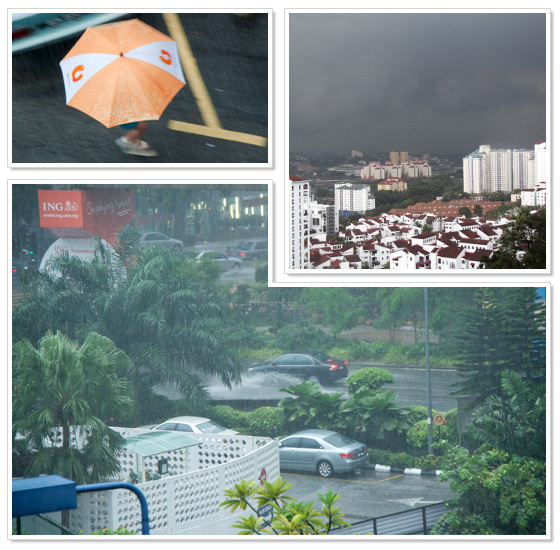 Kuala Lumpur is also on the western side and here there’s often a difference in the dry and wet periods. In such a great metropolis in a tropical climate it’s nice when there’s rain because this makes the air cleaner. The rainy season to the eastern side of the peninsula is in the period between October and March and can be quite heavy; it sometimes rains days on end then. Resorts on islands like Perhentian, Redang and Tioman are often closed in this period, because the sea can be very wild and a passage with the ferry can be difficult. All the beauty of the bounty islands has disappeared for a while. Cities like Kota Bharu, Kuala Terengganu and Kuantan are also less attractive to visit during this period. Around Kuantan there can sometimes be floods in this period. Apart from that, every year is different, sometimes it rains for weeks in a row, other times the weather can be beautiful for a couple of days. The rainy season on Borneo is in the period of October to February; although in this last month it doesn’t rain as much as in the remaining months. A shower is short and fierce most of the times and before you know it the sun shines again. The islands to the northwestern side of Borneo have to deal now and then with the ‘tail’ of typhoons from the Philippines. This unloads itself in heavy wind and rainfall. You didn’t get the 5-7 days of continuous torrential rain? I must have been in another Malaysia then.